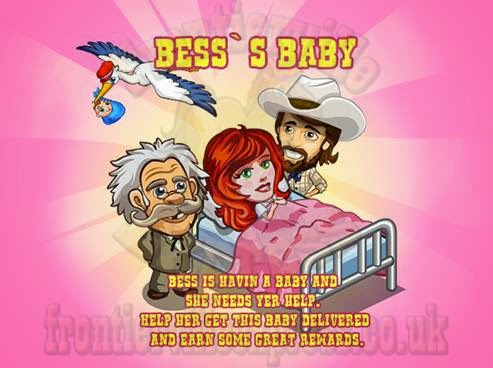 Oh boy, it's baby time on the Frontier for our latest married couple and while she may not be quite as much of a Mom-zilla as Fanny, Bess is a lass who knows what she wants and isn't afraid to make Ted pay for it! That all adds up to some work for us to make this birth perfect, and for Doc who suddenly needs to brush up on his midwifery talents as it's been a while... good thing there's plenty of animals around, right? ...which then in turn become three variations each of baby stuff! 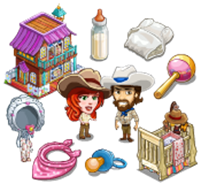 From there out the rest of the missions are traditional with no extra mechanics to try and get your head around, although there is a new Free Gift Crop, the Baby Cabbage. 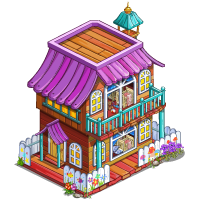 We'll also see a new boost, the Stable Ready boost! That one does exactly what it says on the tin, readying all the rideable horses you have in your stable! So, wash those hands, buy those baby gifts and get ready to help with a birthing! Well, not me, I'll just be outside with a balloon... I'm squeamish.